Cartoonist and comic book creator who became a controversial figure for his politically-charged work in outlets like Radio Zamaneh and IranWire. He came to national prominence for his cartoons commenting on the 2009 Iranian presidential election. He earned a Master's degree in Architecture from the University of Tehran. He fled to France after being arrested for his now-infamous "cockroach" cartoon, which some interpreted as being offensive to Iranian Azerbaijanis. He is the son of famous poet Manouchehr Neyestani. 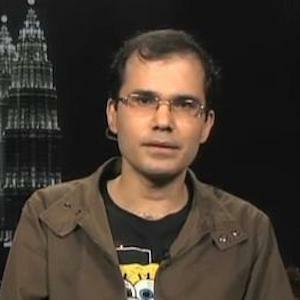 His brother, Touka Neyestani, is also a political cartoonist. He has been critical of former Iranian President Mahmoud Ahmadinejad in his work.